Nearly every year, I teach a senior seminar in the English department at the University of Texas, Arlington (near Dallas) that changes thematically each time. With the recent proliferation of both cookbooks and books about cooking, I decided this spring to try out a class that focused on literature that features recipes as a major component, and, as a kind of juxtaposition to the literature, I also wanted to consider recipes as a literary pursuit. Students would delve into texts that exhibit literary, lyrical, and aesthetic sensibilities about recipe-writing and recipe-execution, and that mark particular cultural shifts in food praxis and politics. At the same time, students would study how recipe writing calls upon a host of literary and cultural practices. The literature that we read was primarily contemporary novels, including Annia Ciezadlo’s Day of Honey, Nora Ephron’s Heartburn, Laura Esquivel’s Like Water for Chocolate and Nicole Mones’s The Last Chinese Chef, though we also read M.F.K. Fisher’s classic work, How to Cook a Wolf. For the recipe side, we read Hervé This’s Molecular Gastronomy and Alice Waters’s Chez Panisse Café Cookbook. But, as I am an early modernist by training, I also wanted the students to be exposed to earlier recipes to understand how recipes have developed and changed in the last four hundred years. Here the class intersected with my own research interest in women’s manuscript receipt book writing of sixteenth and seventeenth century England and with my involvement with the newly formed digital humanities group, Early Modern Recipes Online Collective (EMROC), many of whose members write for this blog. 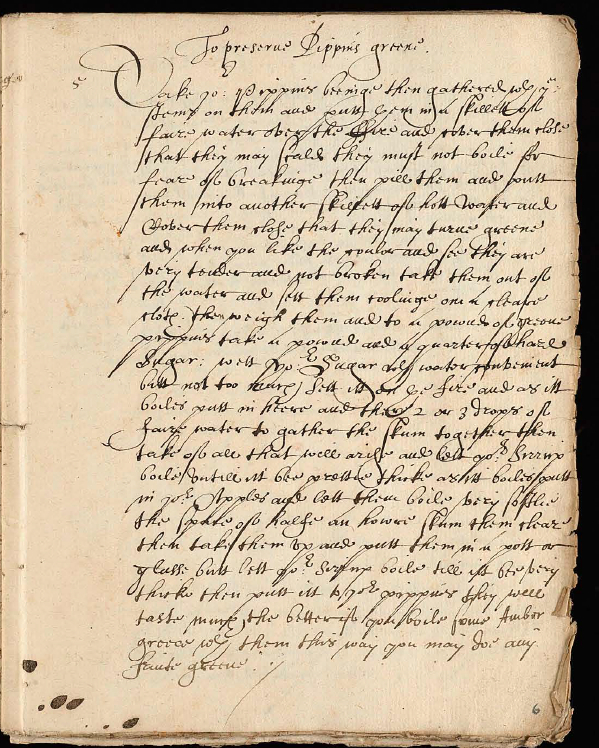 I was inspired by Lisa Smith’s autumn class, “Women and Gender in Early Modern Europe,” who had worked on transcribing Johanna St. John’s recipe book. (See her blog post “An Experiment in Teaching Recipe Transcription,” April 12, 2013.) I was also working in tandem with Rebecca Laroche, who teaches at the University of Colorado, Colorado Springs, as we decided that we would have our students transcribe the same seventeenth-century recipe book, so that the text could be double-keyed. 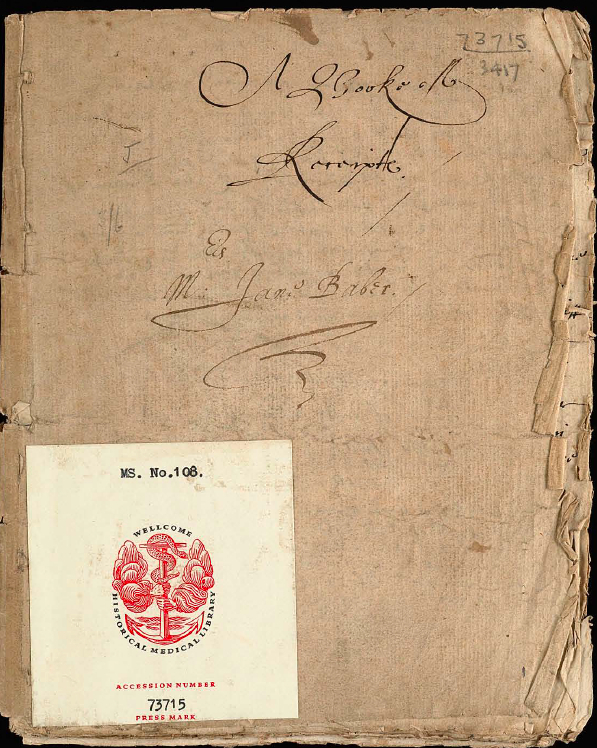 Rebecca and I chose Jane Baber’s receipt book, available in digitized form from the Wellcome Library, because it was short, only twenty-six pages, and in a hand, we thought, that was not too difficult. Our students would code their transcriptions in XML on the Textual Communities crowd-sourcing transcription platform, run by the University of Saskatchewan. With a couple of exceptions, the students in the class were senior English majors so they were used to reading and writing about literature. 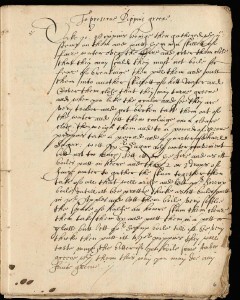 Reading and transcribing early modern writing, however, was something that they had never encountered before–and the task seemed at first quite daunting. To teach the skill of transcribing, Rebecca and I had students utilize the online Cambridge handwriting course, which moves progressively through more and more difficult early modern handwriting. My class met on Thursdays in a computer classroom, and we devoted the class period to transcription. What I noticed was that students started working collectively on the transcriptions, and such communal learning made all the parties stronger transcribers. So when it finally came to transcribing Baber’s receipt book, I decided to have them work in groups. What we all noticed was that the group work allowed everyone a safety net to have the confidence to do difficult work, with as much accuracy as possible. I also learned a lot about transcribing from the students as they experimented with various techniques, such as using a tablet or large T.V. to look at the recipe while writing the transcription on a laptop. Students became tenacious in figuring out what words could be, looking them up in the Oxford English Dictionary or in a Google search. They also struggled to learn to code in XML and to make everything work correctly on the Textual Communities site. 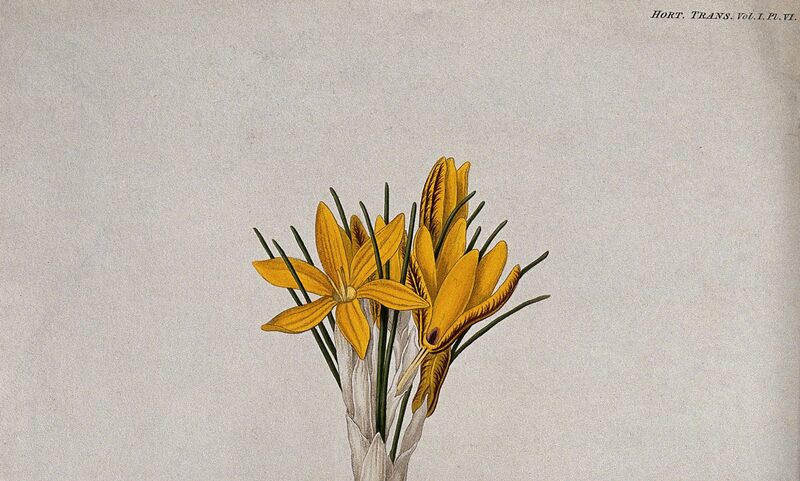 Throughout the semester, students had to write short, researched analytical commentaries, and in the next few days some students from the class will be posting their discoveries about Jane Baber’s recipes. 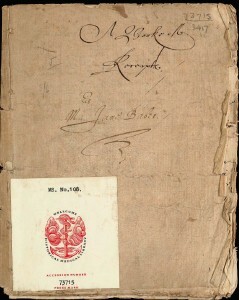 I am sure you will enjoy their discoveries, and it is exciting to see such keen interest in these receipt book manuscripts.